This week's Free GM Resource is a rather large list of adventures compiled by the folks over at Dungeon Mastering. 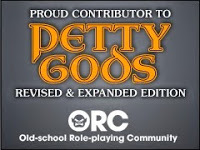 A bunch of these free adventures are 3.5 and 4th Edition D&D adventures from WotC, which you may or may not already have. 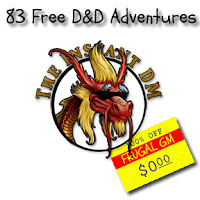 The majority of this list of free adventures consists of the 18 (or so) volumes of 5 Room Dungeons, which was an adventure seed contest from the folks over at Roleplaying Tips. None of the adventure seeds have maps, but they are a great resource for small dungeons, side missions, expansions, etc. I'm a bigger fan of the 5 Room Dungeons because they are not system-dependent.